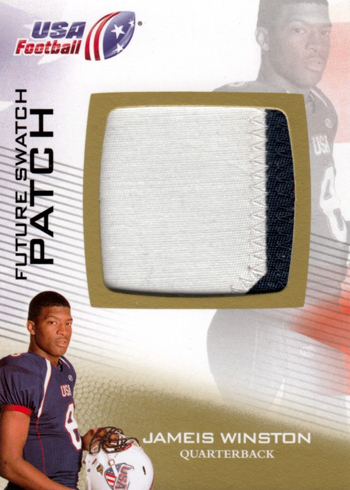 One of the great things about football card collectors is how different each collector is. 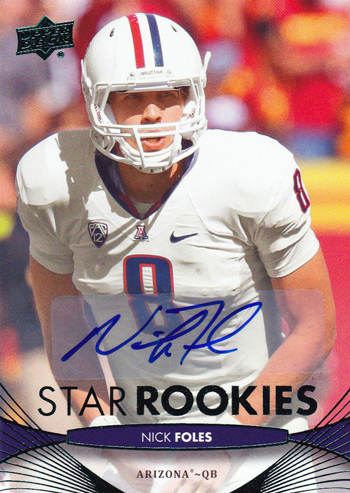 There are team collectors, player collectors, rookie collectors, autograph collectors and even collectors who just search for trading cards with special serial numbers. 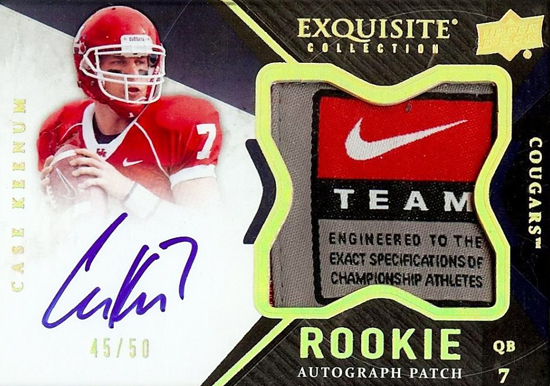 One of the more prevalent groups among football collectors are prospectors who invest heavily in certain rookies in hopes they will have a breakout performance and become superstars. 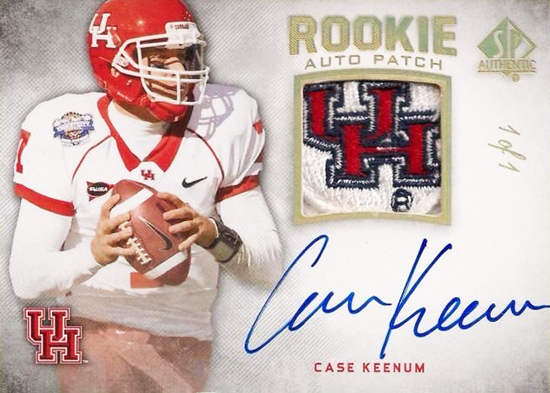 Now it is certainly too early to call some of the quarterbacks who have recently experienced some breakout performances superstars, but prospectors who invested heavily in them early are certainly celebrating today. Here is a look at some of the players that prospect collectors are loving right now! Case Keenum had three touchdowns and 350 yards passing this weekend for the Texans and everyone in Texas is falling in love with him. 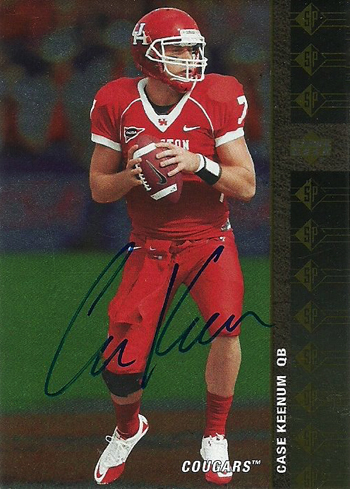 Given the fact he played his college ball in Houston, there is a built in fan base for Keenum in Texas and fans are quickly hitting eBay to grab whatever they can on him now that they believe he is the heir apparent to Matt Schaub in Houston. Philadelphia Eagles fans have been gun shy about embracing any quarterback after seeing so much inconsistency at the position after Donovan McNabb left. What Nick Foles did this weekend by dropping seven touchdowns on the Raiders has those fans thinking differently however. 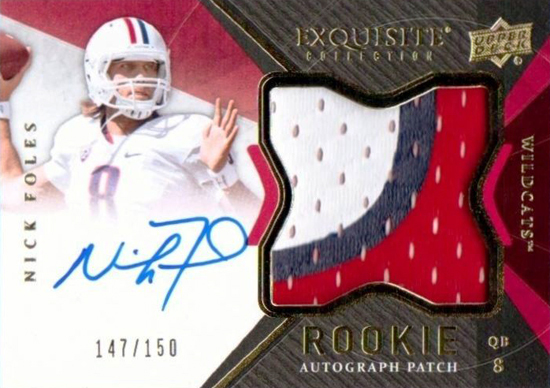 It takes a pretty special quarterback to do that and those who have stockpiled his rookie cards are giving “high-fives” to anyone and everyone today. And one of the most surprising performances comes from the college ranks with the continued stellar play of the Florida State Seminoles and their leader at quarterback, Jameis Winston. And even though Winston didn’t look quite as sharp as normal against Miami, he still putting up amazing numbers and is believed by many to be the front runner in the Heisman Trophy race. 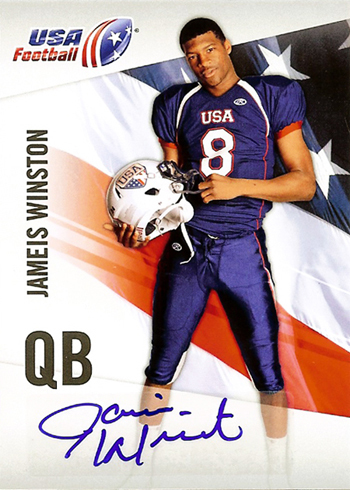 Winston will not have rookie cards for several years, but there is one place you can get his trading cards today that prospect collectors have been stockpiling for the last several months in the 2012 USA Football Box Set. Which players do you think are due for a breakout performance that you are investing heavily in today?